Legendary Director Luc Besson Offers Moviegoers An Exclusive First Look at the Opening Sequence of EuropaCorp's Summer Blockbuster "Valerian and the City of a Thousand Planets"
Los Angeles (June 30, 2017) – Moviegoers will get an early look at the complete and unedited opening sequence of Luc Besson’s “Valerian and the City of a Thousand Planets” in select theaters showing “Spider-Man: Homecoming” beginning with its first showtimes on Thursday, July 6. STXfilms will distribute the epic adventure in the United States beginning on July 21, 2017. The never-before-seen opening sequence of “Valerian,” which details the creation of the film’s Space Station Alpha, will appear during the trailer section and Besson’s spectacular vision of the future will be presented exclusively in 3D and Premium Large Format. 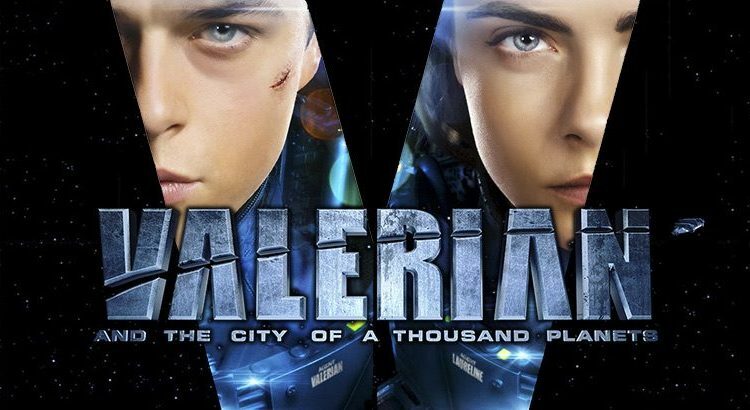 Participating exhibitors to feature the exclusive “Valerian” sequence include select screens at AMC (in Dolby Cinema), B&B Theaters (in Grand Screen Large Format), Cinemark (in Cinemark XD and RealD 3D), Emagine Entertainment (EMAX Large Format), Harkins Theaters (Ciné Capri Large Format and Ciné 1 Large Format), along with select regional circuits nationwide. “Valerian and the City of a Thousand Planets” is the visually spectacular new adventure film from Luc Besson, the legendary director of “The Professional,” “The Fifth Element’ and “Lucy,” based on the ground-breaking comic book series which inspired a generation of artists, writers and filmmakers.